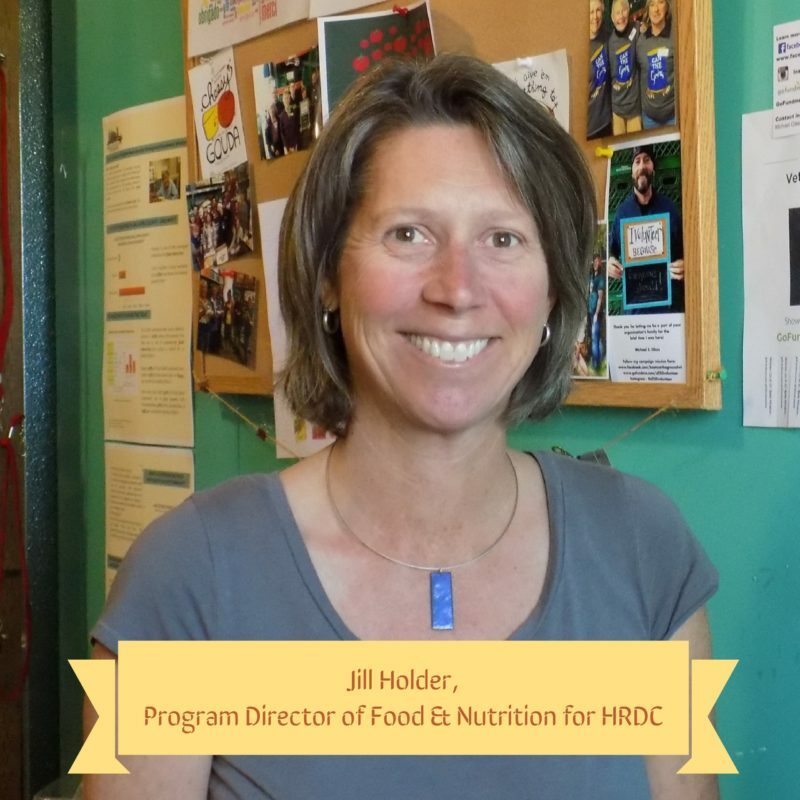 We are thrilled to announce beginning February 1st, Jill became the new Director of HRDC’s Food & Nutrition Programs. Jill has been our Operations Manager for the past 7 years. She has worked with multiple HRDC programs and prior to this, she was with Eagle Mount for 10 years. For most of her life, she has worked for organizations that utilize volunteers and she believes volunteers add compassion and enthusiasm to every task. This combined with her passion for food security and food rescue makes this step a great fit. We are beyond excited to have her step into this new role!